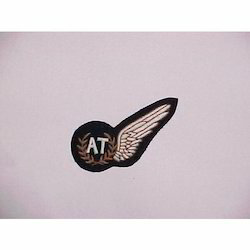 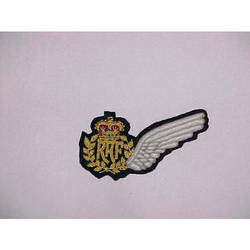 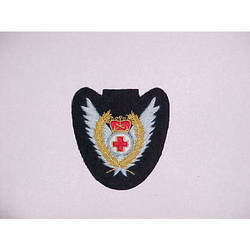 Wing badges made using highest quality silk portray a aviator look. 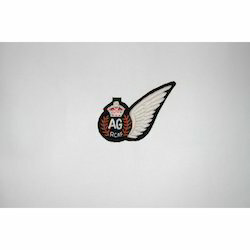 These embroidered wings like hand embroidered wings, thread embroidered wings, customized embroidery wings, military wings, army wings, navy wings are highly inspiring and cathy, they amplify the look of any every cloth they are attached with. 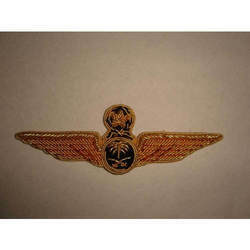 We are offering para jump instructor half wing badge. 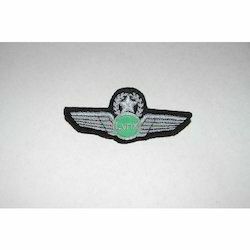 Using very intricate embroidery, we have successfully been able to build a wide client who is quite diverse in their needs. 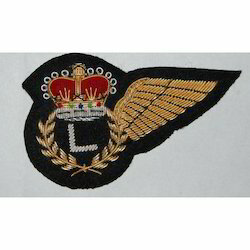 Logo Embroidery Corporates & Schools can be precisely designed and embroidered as per specifications. 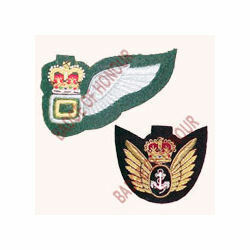 Any bulk orders shall be completed and delivered on a comitted time schedule. 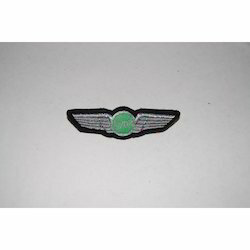 These are available in wide options of colors to choose from. 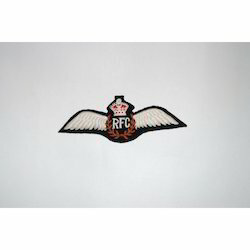 Our range exhibits perfect finish and true workmanship. 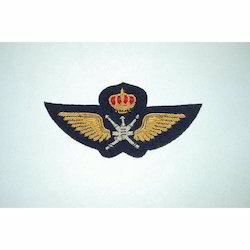 We also meet customized requirement. 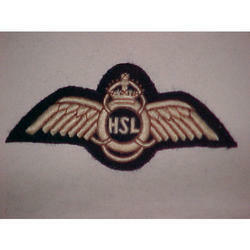 We are offering embroidered wings. 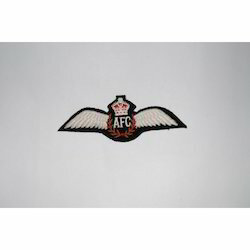 We are offering mod (Australia) pilot raaf fullwing. 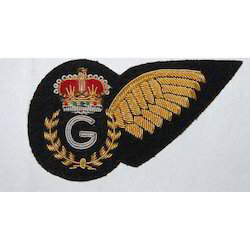 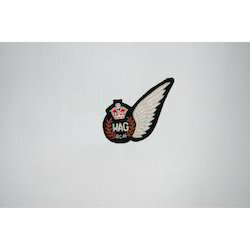 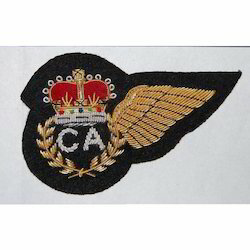 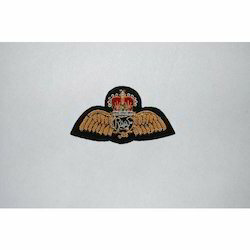 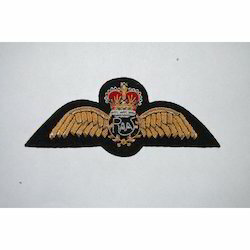 We are offering mod (Australia) gunner half wing badges. 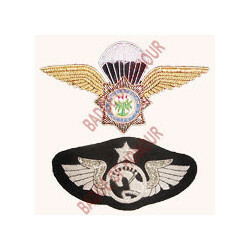 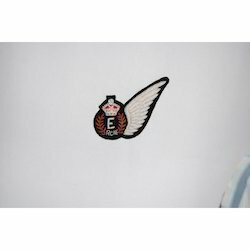 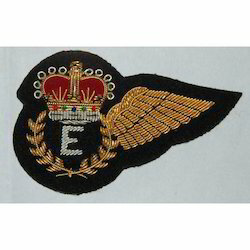 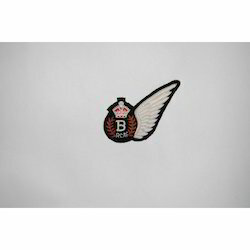 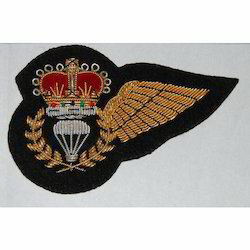 We offer military wings having great designs with minute detailing depicts truly brilliant embroidery work. 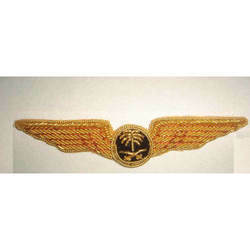 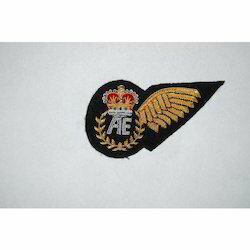 Our army wings are distinctive excellence that just doesn't stand apart but stands alone in the badge industry. 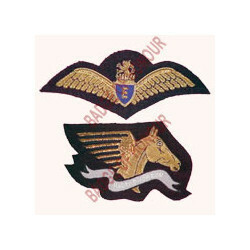 Our range of navy wings are available in vibrant colors, sizes and shapes with attractive embroidery. 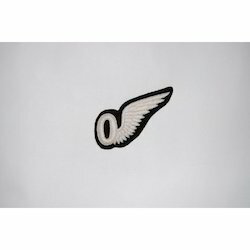 Looking for Embroidered Wings ?